Puppies planned for September 2019. 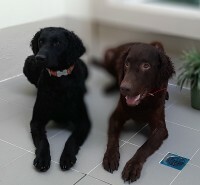 The first Curly-Coated Retriever Puppies in Malaysia. Currently, Juice and Jasmine are the only 2 Curlies in Malaysia. Puppy bookings are open now. Please feel free to contact Sue Yeap (0124015882) for information relating to future puppies in relation to temperament, health and purpose for this breed. 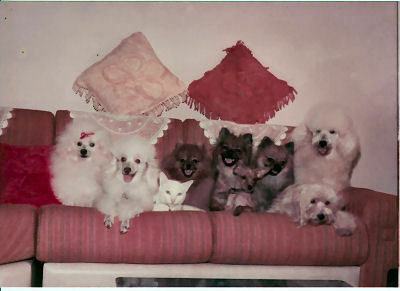 Sue Yeap owns Rightroyale Kennel. The name RIGHTROYALE is only an identity registered with the Malaysian Kennel Association. 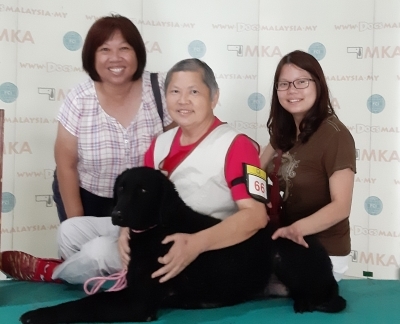 Sue is a Life Member of the Malaysian Kennel Association since 1980. 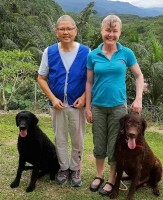 She is founder member of The Penang Dog Agility Association (established 2000). Sue has resigned from the club on 6 April 2018 and is no longer responsible for the club's activities.Retired from the corporate working life in 2015, Sue spends her days with her dogs doing what she loves; training her dogs in various dsiciplines Obedience, RallyO, Retrieving, Dog Tricks, Scent Work and Agility. In her spare time she helps rehabitalate and train difficult dog or senior dogs, Occasionally Sue adopts puppies from SPCA, mixed breed or pure breed dogs for rehoming to suitable homes, so these dogs can better adapt to the right homes. 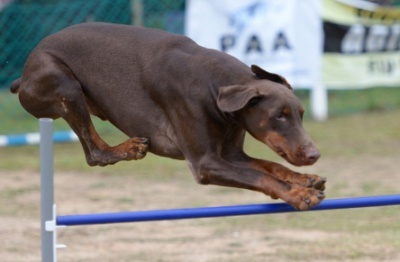 Sue's personal dogs inlcude: 1) 9 year old Dobermann, Mocha. 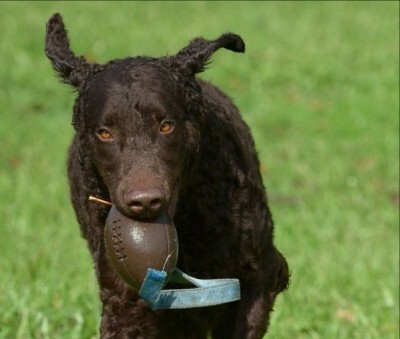 2) 4 year old Curly-Coated Retriever, Juice . 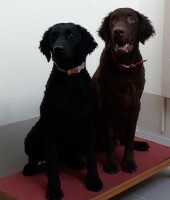 3) 18 months old Curly-Coated Retriever, Jasmine. Born May 2017 Jasmine Tea arrived from Australia on 15 November. She is the 3rd Curly to be imported to Malaysia. Born June 2014. Juice is a Curly-Coated Retriever. He is the second Curly in Malaysia. He is a promising show dog. Hopefully will be a good sports dog too. (August 2005-July2015) Kofi left us after a short illness. He died in his sleep. Kofi gave me a full 10 years. My team partner and I am proud and blessed for him by my side. Rightroyale's Kofi, M.A.CH, M.OB.CH, GD, JDEx, AGSp, C.T.D, C.S.D-Novice, RT, CD. Your personal & private dog trainer.